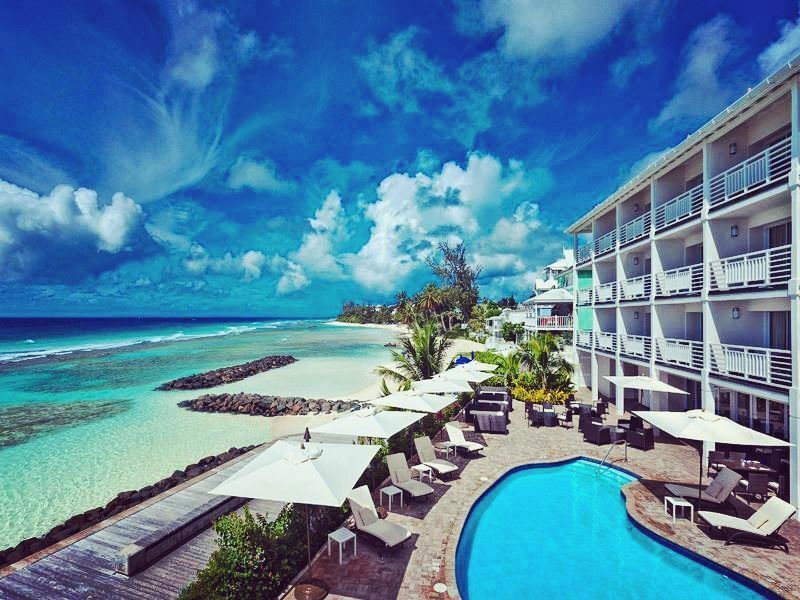 There can be few more evocative images than the juxtaposition of lush green gardens against resplendent ocean hues and if you're looking to sample the best of them then head to Barbados and you won't be disappointed. This is a relatively small island, stretching for just over 20 miles in length, however, size isn't everything and with some superb locations pitted against white sand backdrops you'll discover endless ways to spend your time as the sun continues to shine. Whatever you're into: sports, relaxation or nature, Barbados has got the lot and if you're looking for a few more temptations to whet your whistle then check out the top 10 things to do in Barbados that offers plenty of food for thought. Where: There are multiple botanical gardens to explore throughout the island, all as beautiful as the next. What: Walk inland from Barbados’ sugary sand coast and you’ll find that the island is abundant in beautiful tropical gardens. Teeming with vibrant flora, Barbados’ horticultural scene is booming with colour and diversity. Andromeda Botanical Gardens is one of the most popular, adorned with palms, orchids, cacti and medicinal plants, whilst Fisher Pond House offers gorgeous water features and a paved promenade decorated with petunias, roses and hibiscus. 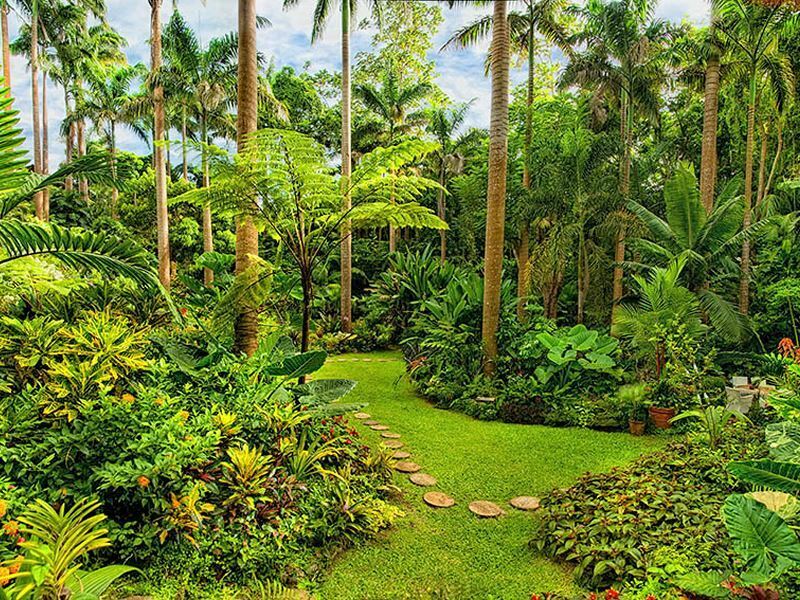 Highlights: Those with green fingers will surely fall in love with Hunte’s Gardens. It’s our favourite too – nothing beats walking through the flower-dotted foot paths that shade you from the sun, with colourful plants cascading down the hills, and tall palms swaying ahead. It’s a dreamy experience. Where: This three-quarter mile long gully is nestled in a collapsed cave in Central Barbados, in the St. Thomas’ Parish. What: Calling all hikers – it’s time to put on those boots and start walking. 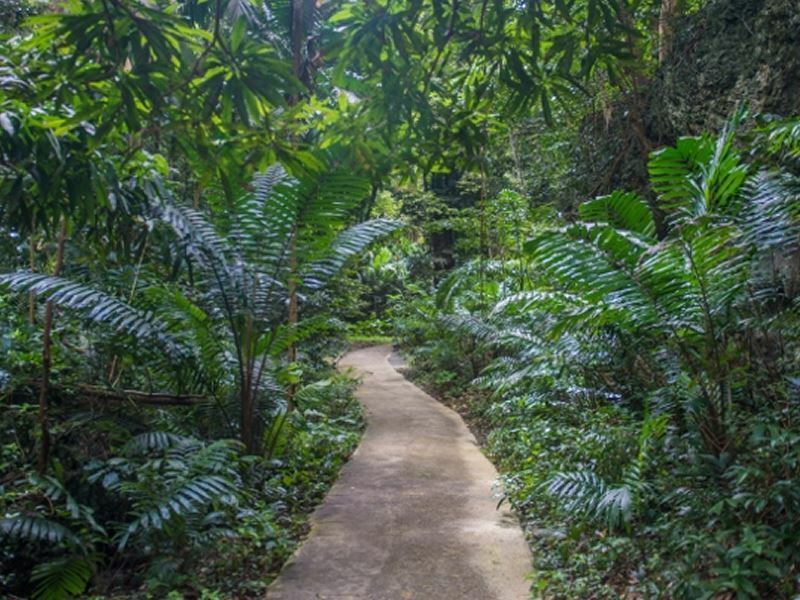 This luscious, tropical forest embodies the island’s deep love and understanding of plant life, cultural heritage and natural history, created by a gully and now home to a number of towering trees and native plants. The sheer beauty of this place sparks a feeling of enchantment. Highlights: We find the best time to visit this stunning scene is early in the morning, when the chattering troop of Green Monkeys are fed. Seeing them swoop and call above your heads is an amazing sight. There are a few guided tours too, with knowledgeable guides gracing you with fascinating facts and stories. Where: This popular attraction is located in the central uplands of Barbados, in the parish of St. Thomas. What: This is one of Barbados’ most splendid natural wonders. Here you’ll have the chance to delve deep beneath the island’s surface to explore dark, exciting caves full of impressive stalactites and stalagmites. 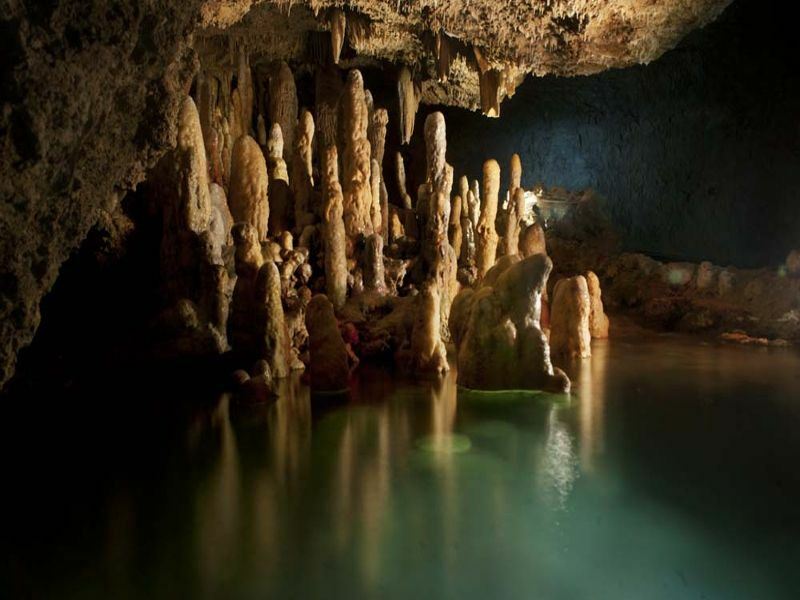 Harrison’s Cave is best characterised by the gorgeous streams that flow through the caverns, and the crystal-clear pools that reflect on the beautiful limestone formations. Highlights: Journeying through this stunning cave on a tram takes out the fear of crawling through tiny tunnels or plunging into chilly waters. Instead, you can simply sit back and take in the sights as an experienced guide teaches you about Harrison’s history. Where: Starting by The SoCo Hotel in Bridgetown, this scenic boardwalk stretches across Hastings Beach. What: The South Coast Boardwalk is just that – a wide boardwalk that runs along the south coast, starting from luxurious Bridgetown to Rockley Beach. Built parallel to the powdery sands of Hastings Beach, this is a wonderfully scenic walk, gracing walkers with phenomenal views of the ocean, as well as a number of restaurants and bars. Highlights: Strolling along the boardwalk at sunset will certainly take your breath away. Once the sun’s gone down and you’ve reached the end of the walk, grab a taxi to Oistin’s Fish Fry on a Friday night and indulge in succulent tuna, swordfish, mahi-mahi and flying fish, cooked on a grill whilst you explore the art and craft stalls and listen to calypso tunes. Where: With such beautiful, azure waters, there’s an array of excellent diving spots dotted around the island’s gorgeous coast. What: Plunge into the immaculate reefs and you’ll find a myriad of wonderful marine life. Magnificent leatherback turtles glide through the waters, whilst dolphins cheerfully play together. Reef sharks slither along the reef’s floor, whilst schools of flying fish swim past. 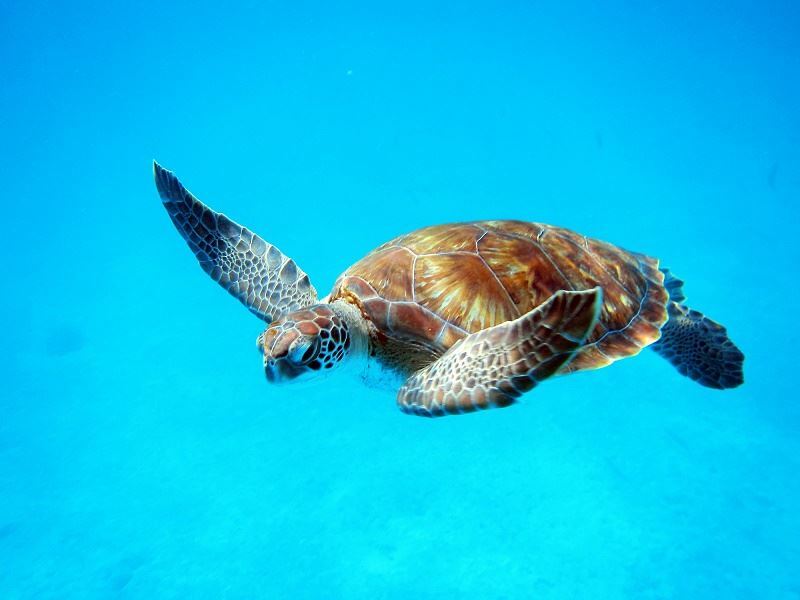 Barbados’ underwater world is certainly one of splendour. Highlights: Once you've swum down to the depths of the SS Stavronikita you probably won't want to go anywhere else. Situated in some 120 feet of water, just off the west coast, this Greek freighter is over 360 feet long and is literally covered in coral and teeming with tropical fish. This is one of the island's most popular dive spots and perfect for underwater adventurers and art exhibitors. Where: The Soup Bowl is located on the rugged east coast of Barbados, in the town of Bathsheba. What: Grab your surfboard dudes, it’s time to catch some waves. The east coast of Barbados has fast-become a mecca for surfers and body-boarders thanks to the amazing Soup Bowl swells, which offers the best waves for pro-surfers to perfect their craft. Highlights: The east coast is a lot less touristy than other parts of the island. 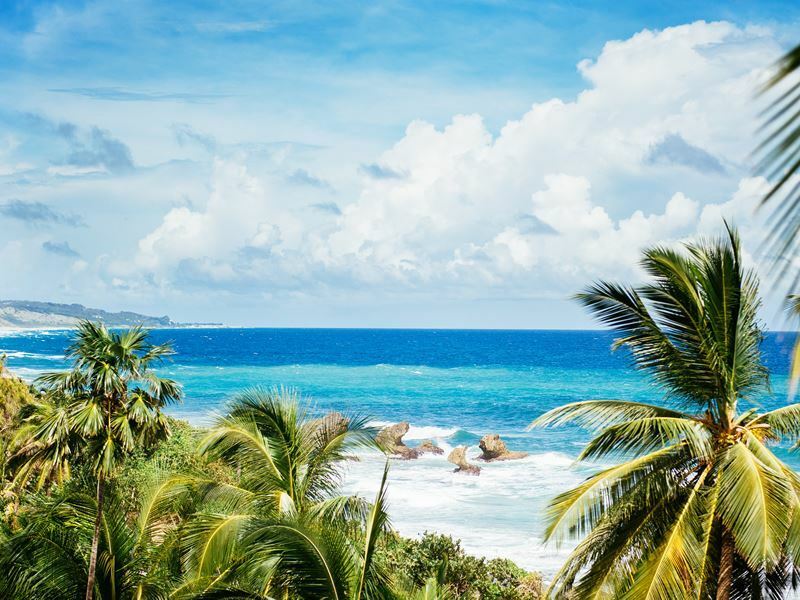 In fact, there’s barely any commercialisation anywhere – instead, it’s all about the natural, rugged coast and enjoying the wild side of Barbados. Where: This fascinating attraction is perched in Saint Peter. What: A plantation house, museum and rum distillery, St Nicholas Abbey is ideal for those who fancy delving into Barbados’ culture and rich heritage. You can easily spend the whole day walking through the colourful gardens, exploring the rum distillery, dining in the decadent restaurant, and wandering around the Great House. 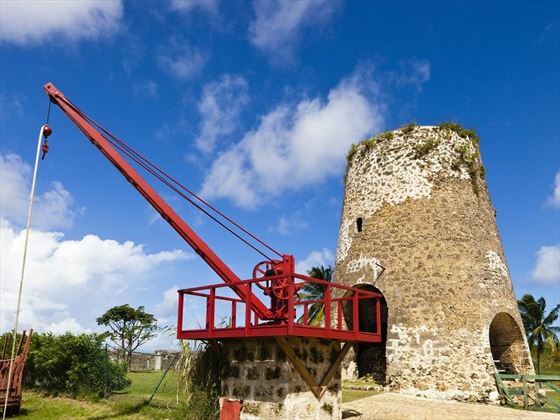 Highlights: Rum is a major part of Barbados’ culture, and St Nicholas Abbey’s distillery is a fantastic way to find out more about the island’s sumptuous rum legacy. One of just four distilleries in Barbados, you’ll see the process from barrel to bottle, making your next rum-based drink taste even more flavoursome. Where: There are a number of golf courses dotted around the island. 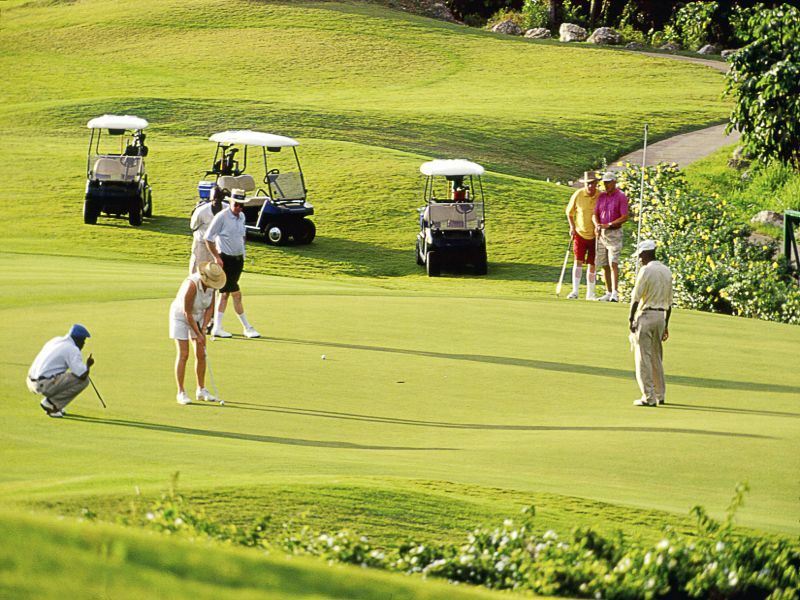 What: Barbados has been steadily becoming a reputable golfing destination, offering a number of amazing courses for golfing-enthusiasts to enjoy. If you're looking for exclusivity then check out Apes Hill and Royal Westmoreland, which are nothing short of exceptional. Highlights: The lavish Sandy Lane is a peaceful and sophisticated resort, home to three brilliant golf courses: The Old Nine, the Country Club Course, and the Green Monkey Course. With the latter two courses designed by Tom Fazio, a celebrated golf course architect, you know you’ll be getting a hole-in-one in style. 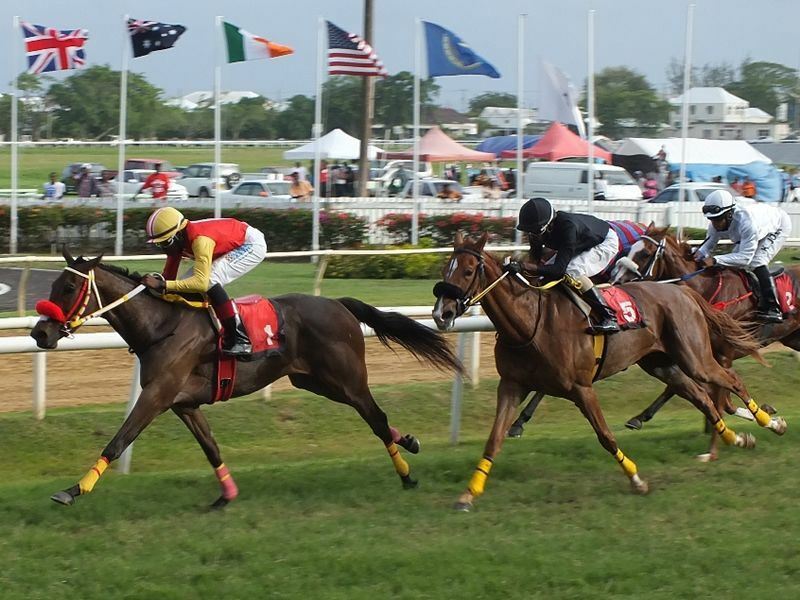 Where: With an exciting calendar throughout the year, Barbados’ sporting events take place around the whole island. What: Golf, cricket, tennis, polo, football…Barbados’ sporting scene is rife. Thanks to the year-round warm weather, the island is regularly chosen to host a variety of fantastic sporting events – and with so many to choose from, Barbados is regularly visited by many sports enthusiasts. 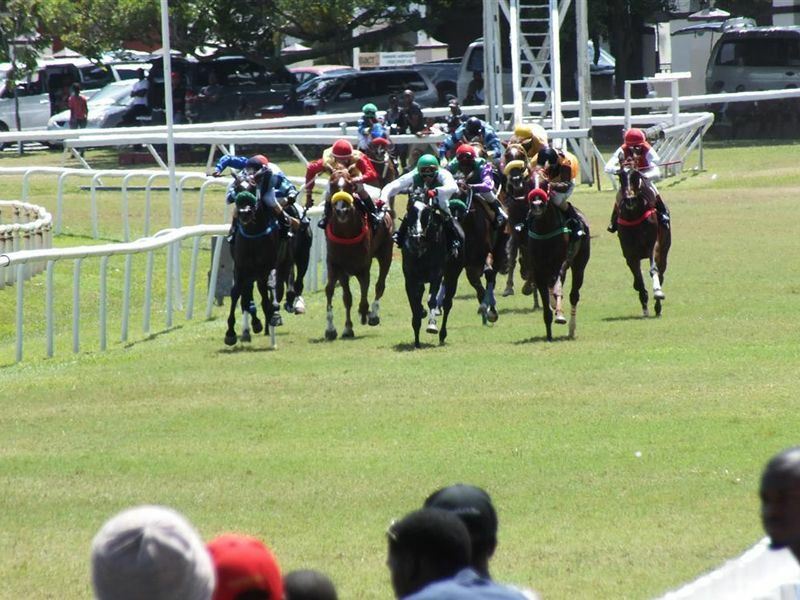 Highlights: With a fantastic central location and providing a thoroughly worthwhile alternative to the beach, watching the horses at the Garrison Savannah is a great day out for all the family. The dress-code is casual and with a carnival atmosphere, comprising of parades, picnics and local food vendors. Where: The stunning Platinum Coast is nestled along the west of the island, just to the north of Holetown. 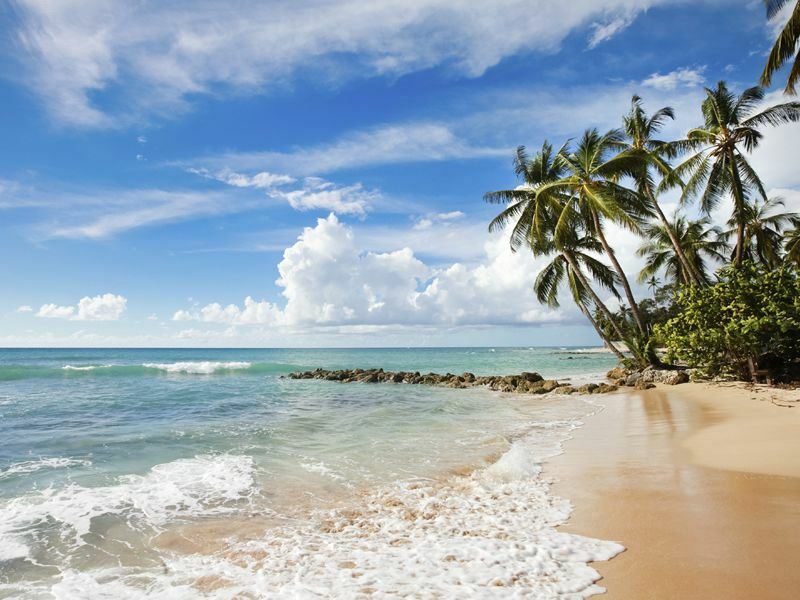 What: Named mainly due to the shimmering sand however, in recent years, more indicative of the rich and famous mega-rich who call it home, the Platinum Coast is Barbados's premier stretch of shoreline. This is an exquisitely beautiful area and well-worth a visit even if you're only lingering to see if you can catch sight of a reclusive celebrity or two. Highlights: The Platinum coast is host to a variety of charming beaches and villages. Wander along to Six Men’s Bay to watch local fisherman bring in their catch of the day, or pack up a picnic and head to Batts Rock Beach in search of cheeky Green monkeys. A catamaran cruise is also a luxurious way to spend a day.